Tarek El-Ghazawi is a Professor in the Department of Electrical and Computer Engineering at The George Washington University, where he leads the university-wide Strategic Academic Program in High-Performance Computing. He is the founding director of The GW Institute for Massively Parallel Applications and Computing Technologies (IMPACT) and a founding Co-Director of the NSF Industry/University Center for High-Performance Reconfigurable Computing (CHREC). El-Ghazawi’s research interests include high-performance computing, computer architectures, reconfigurable, embedded computing and computer vision. 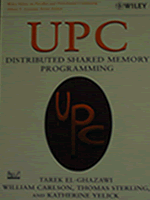 He is one of the principal co-authors of the UPC parallel programming language and the first author of the UPC book from John Wiley and Sons. He has received his Ph.D. degree in Electrical and Computer Engineering from New Mexico State University in 1988. El-Ghazawi has published close to 250 refereed research publications in this area. El-Ghazawi has also taught at George Mason University, Florida Institute of Technology and Johns Hopkins University. In addition, he served as a high-performance computing consultant at NASA Goddard Space Flight Center and NASA Ames Research Center. 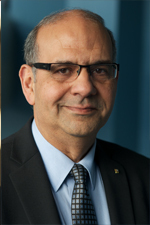 Dr. El-Ghazawi has served in many editorial roles including an Associate Editor for the IEEE Transactions on Computers. He has chaired and co-chaired many international conferences and symposia including the 2009 Conference on Partitioned Global Address Space (PGAS) Programming Models and Languages (PGAS2009), The 10th IEEE International Conference on Scalable Computing and Communications (ScalCom-10), 2010, the 9th ACS/IEEE Conference on Computer Systems and Applications (AICCSA2011), and the 24th IEEE International Conference on Application-specific Systems, Architectures and Processors (ASAP2013). Dr. El-Ghazawi’s research has been frequently supported by Federal agencies and industry including DARPA/DoD, NSF, DoE/LBNL, NASA, IBM, HP, Intel, AMD, SGI, Microsoft, and Mellanox. He serves or has served on many advisory boards including the Science Advisory Panel of the Arctic Region Supercomputing Center, DSP Logic and Mena Venture. El-Ghazawi received many national and international awards and recognitions. He is a Fellow of the IEEE, and was selected to a Research Faculty Fellow for the IBM Center for Advanced Studies, Toronto. He is a member of the Phi Kappa Phi national honor society and an elected member of the IFIP WG10.3. 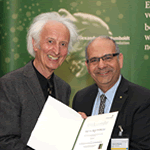 El-Ghazawi was also a U.S. Fulbright Scholar, a recipient of the Alexander Schwarzkopf Prize for Technological Innovations and a recipient of the Alexander von Humboldt research award from the Humboldt Foundation in Germany.